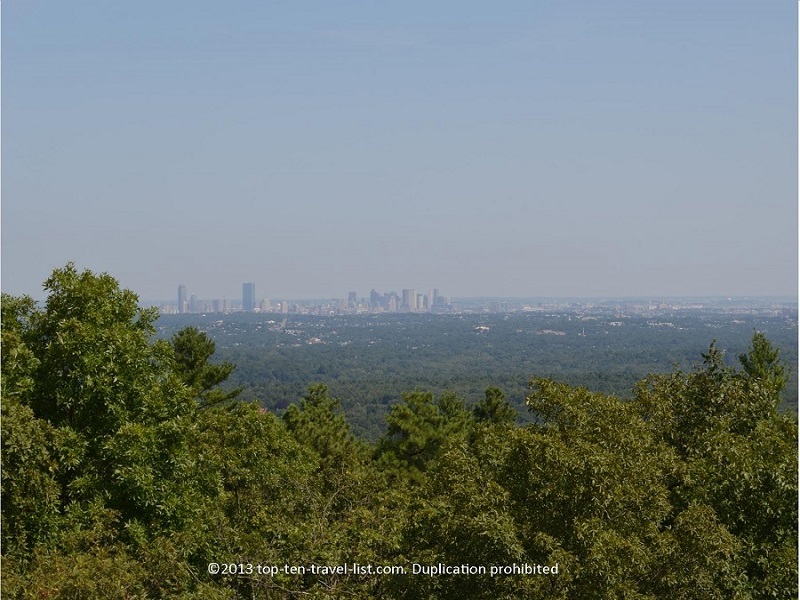 20 Free & Fantastic Things to Do in the Greater Boston Area - Top Ten Travel Blog | Our experiences traveling throughout the US. Boston is a great city to visit anytime of the year. 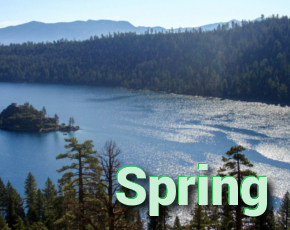 There are plenty of year round activities and attractions for everyone to enjoy. In addition to top notch museums and historical landmarks, you will also find many beautiful parks and gardens. 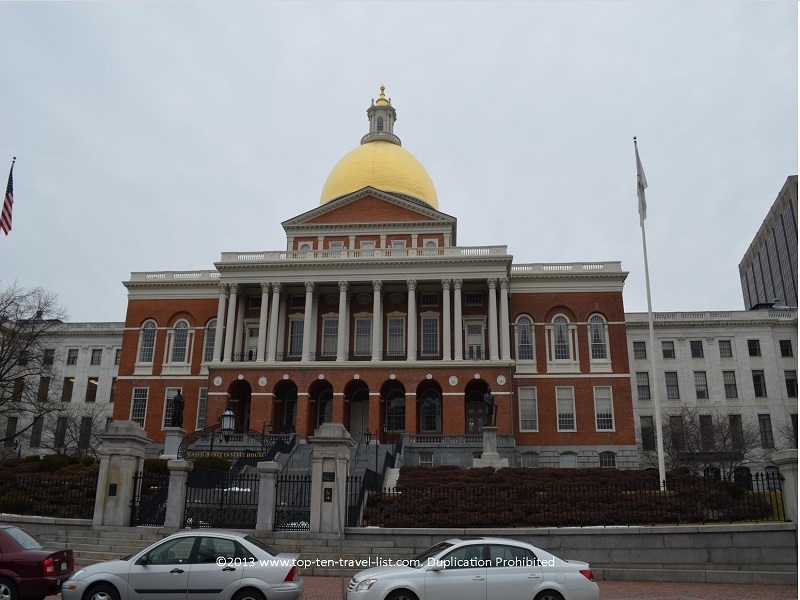 Fortunately, many activities in Boston are free, so if you are short on cash you can still enjoy a wonderful trip to New England’s largest and most influential city. 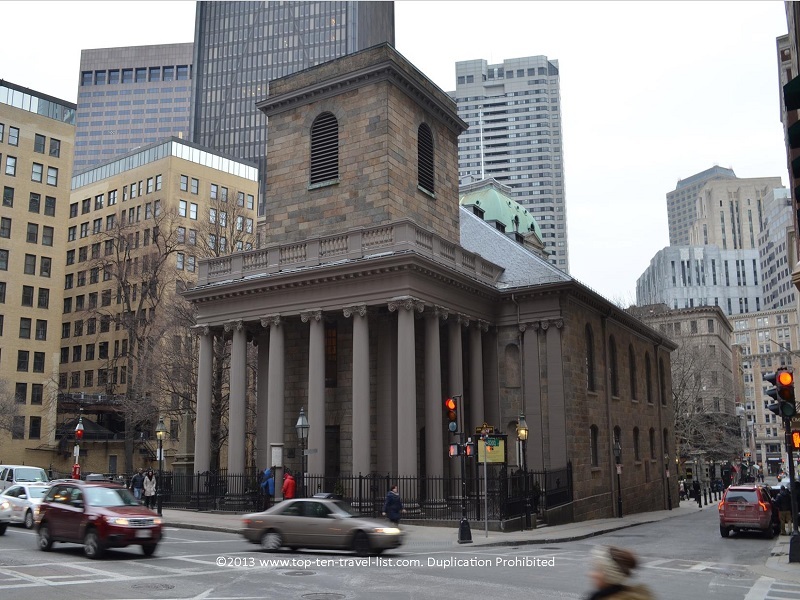 There are many free and interesting things to do both downtown and in other cities around the Greater Boston area. No matter which season you decide to visit, you will be treated to beautiful architecture and gorgeous landscapes. Fall is a particularly scenic time to visit with every area surrounded with the tremendous colors of the season. The fall season brings endless opportunities for free hikes and seasonal events. Nevertheless, whatever time of the year you decide to visit, you are guaranteed to have a fun, scenic, relaxing experience. Take a look at this list of 20 fun and free things to do in the Greater Boston area. Also, feel free to add a few suggestions of your own! 1. 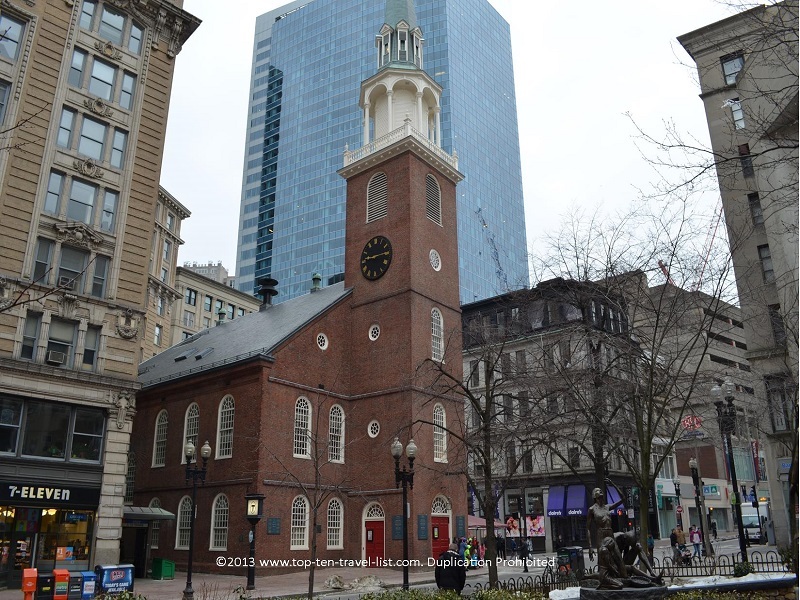 The Freedom Trail – Boston’s scenic 2.5 mile route takes you along a fun & educational journey past the city’s most historic sights, including: Boston Common, Faneuil Hall, the Site of the Boston Massacre, the Bunker Hill Monument, and many more. The brick lined path is easy to follow and the architecture along the way is absolutely gorgeous. 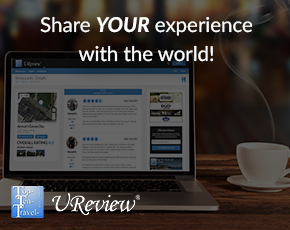 Take this opportunity to learn about the history of this beautiful city; you won’t regret it. Definitely one of the top attractions to visit, no matter what time of the year you visit. 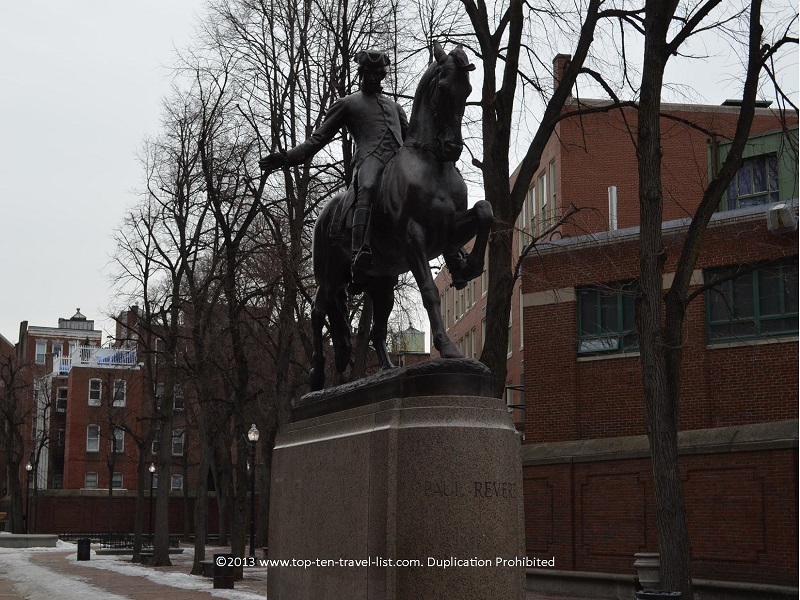 Please check out my detailed Freedom Trail Map to help guide you along on your journey. Tip: Be sure to climb to the top of Bunker Hill Monument – the views are outstanding! 2. 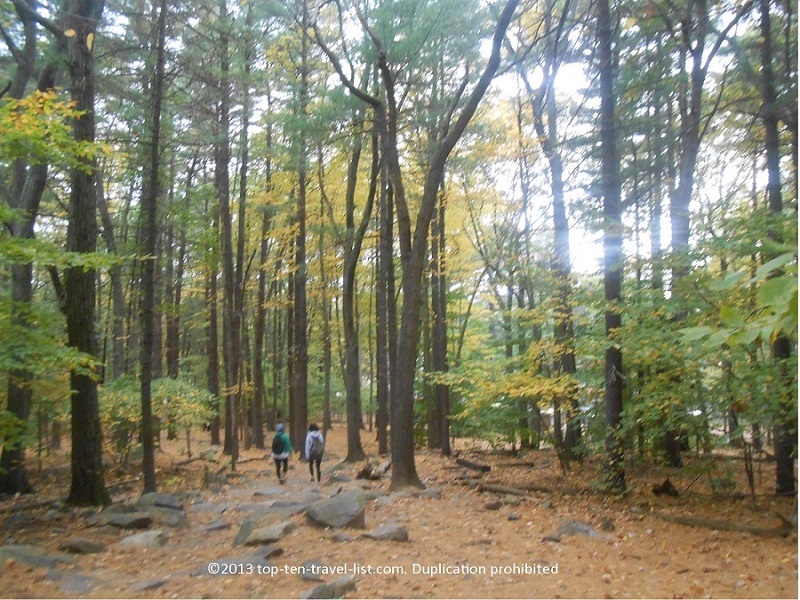 Blue Hills Reservation – Blue Hills is located a short 20 minute drive outside of the city. Take the chance to escape the crowds and traffic for a day of hiking or biking at this picturesque nature oasis. This 6000 acre rural escape is so close to the city yet so far away. From the Skyline Trail you will be taken up to an observation deck where you will be treated to great views of the city and even better views of the surrounding hilly landscape (visit in the fall for amazing colorful views!). Hiking through the heavily wooded trails at Blue Hills is so peaceful and relaxing that you will forget you are anywhere near a big city. 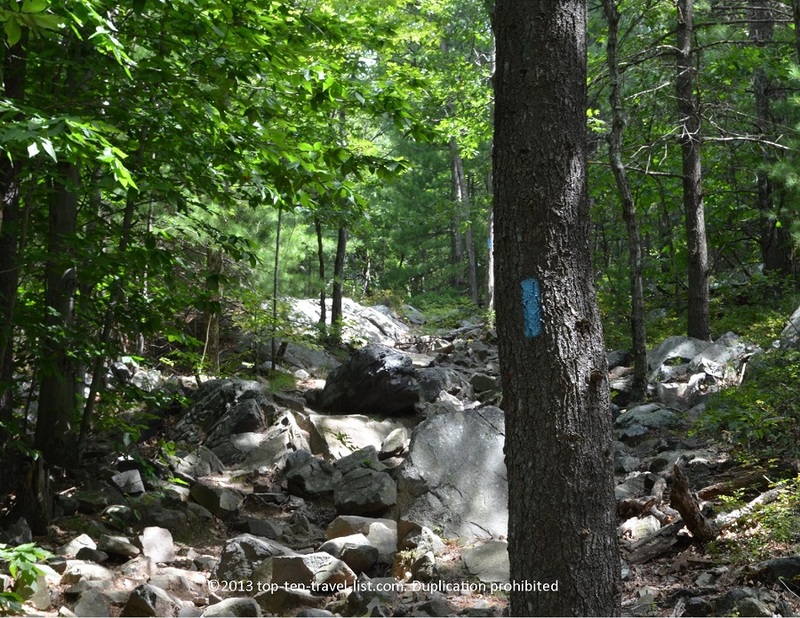 Over 100 trails and varied terrain will excite both the beginning and advanced hiker. Tip: Visit during October and take a fall foliage chairlift ride at the Blue Hills Ski area.